Sugar is an very talented working cow horse. 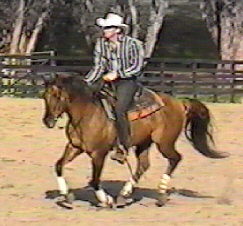 He is extremely athletic in reining and cow work, well balanced, and has an excellent disposition. He has been successfully shown. His first foals will be born in 2008. Choya is 93% foundation bred. He is also extremely athletic in reining and cow work, well balanced, and has an excellent disposition. His oldest get have inherited his wonderful traits. Choya is thus far a 100% dun producer. 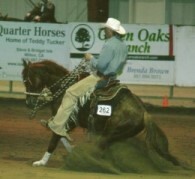 He has been successfully shown in reining. Smokey the Bar is the foundation stallion of Wyammy Ranch. 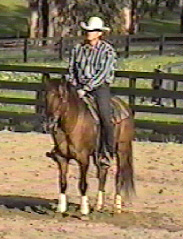 Smokey showed successfully at cutting and won over Doc N'Willy until a mare kicked him breaking his patella bone. 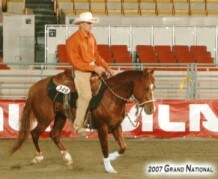 At that time, Smokey was leading the Pacific Coast Quarter Horse Association in cutting by 21 points. 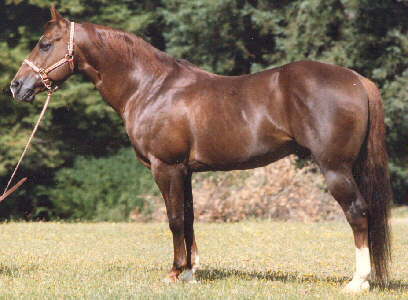 Smokey was used as a ranch stallion, bred to all the Wyammy Ranch mares, and a few outside mares. Due to limited breeding, Smokey only produced 100 registered AQHA foals. However, many have became cutting, reining, English pleasure, and halter point earners. 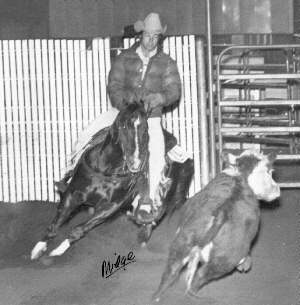 His most famous cutting daughter was Wyammy Holly earner of an NCHA Certificate of Ability and the dam of Colonels Reflection, a champion producer.